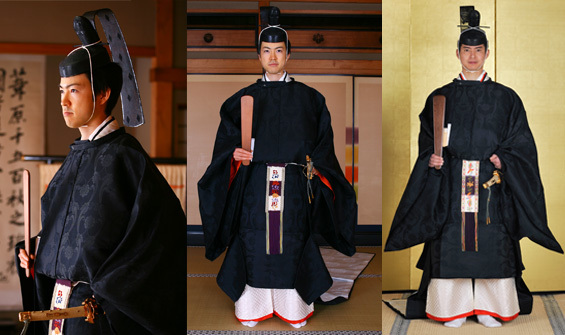 "Sokutai" is the most formal clothing that really high ranked court officer wore. 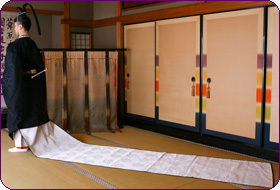 The name, "Sokutai" is originally from "Sekitai" which is like a belt with stone decoration. "Soku" means a bunch of something and "tai" means a belt that binds up some clothing. 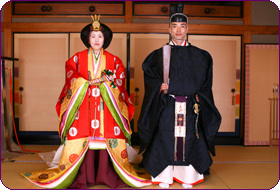 You'll see the costume that highest ranked ministers in the court wore in the Heian period.